Well, HELLLLLO Louis! Our Monday just got a LOT better! More than 50% OFF, yeeeha! Luckily, we know what we dig when it comes to bubbly (and we know what we like to pay for it), and this IS our finest “bargain” Champers EVER. $22? Are you crazy? We met Rudy Remy, the winemaker, some years ago in the tiny village of Allemant and decided then and there this was going to be a long, happy, effervescent relationship. And HOW! Man, this stuff just KILLS IT for the price (ask many a happy previous customer, we wish we could show all the glowing emails…). This is the newest bottling, recently disgorged, and fresh as the day is long. Like, pow pow wake-me-up zippiness and pure, clean citrus fruits. BUT!! That’s just the beginning of this Grande Reserve’s profile --- enter the lightly toasted almond, marzipan and juicy peach notes, white flowers….these all hit you at various points in the glorious process of drinking this wine --- lively, lip-smacking and absolutely perfect to drink ANY time -- and at a price like this….sorry, but you just don’t see Champagne this good for $22! And if you DO -- tell US about it!! 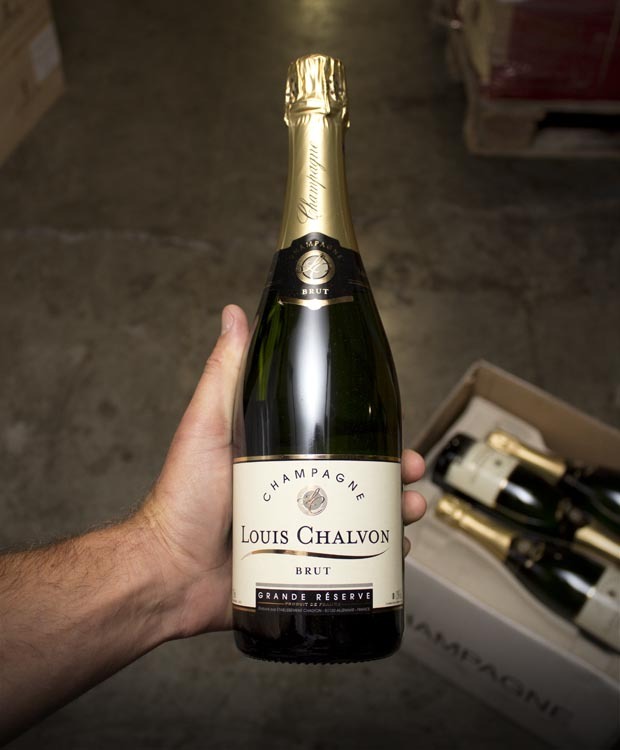 Hot off the container from France, chilling in our cool warehouse --- while it lasts…! You know the saying 'It's not what you know, It's who you know'. A few miles away from the bustling cities of Reims and Epernay you'll find the Bernard Remy Champagne. Created 40 years ago by Bernard Remy himself, it definitely has an outstanding character. It's in the heart of the little village of Allemant on the Côte des Blancs (White grape coast) that the family patiently transforms their grapes into Champagne. With no less than 11 hectares of vines all over the Champagne vineyard, the Bernard Remy winery offers a wide range of grape varieties, Grand Crus as well as local wines to make refined types of Champagne with subtle, delicate flavours. The sophistication and refinement of the wines actually highlight the constant quest for perfection of the winery. Once upon a time there was a Champagne winery associating tradition with passion. In 1968, Bernard Remy bought his first vines in the village. A few years later he would market his first wines in France. In 1983 he made the decision to have his own cellar built so as to be able to produce his own wine and to master the production. Since he wanted to broaden his vineyard, he bought 3 more hectares in 1986 and thus trebled the output. The cellar was then too small for the storage of these outstanding bubbles and was therefore widened in 1990, 1997 and more recently in 2008, which allowed the wines to mature in the greatest conditions. Pork, Rich Fish (Salmon, Tuna, etc.) Shellfish (Crab & Lobster) Mild and soft cheeses.